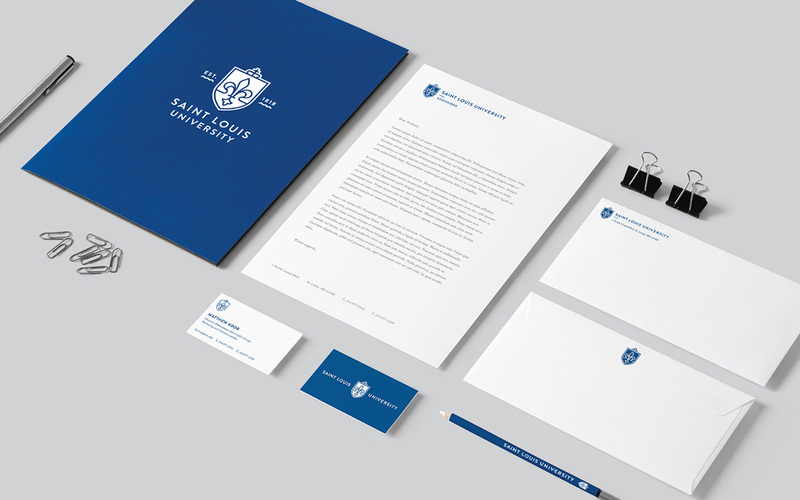 I usually don’t do Follow-ups 24 hours after posting the first version but the folks at Olson reached out with some nice application images for yesterday’s Noted post about Saint Louis University (SLU). Since it received positive feedback in the comments and polls I figured you would enjoy seeing these. 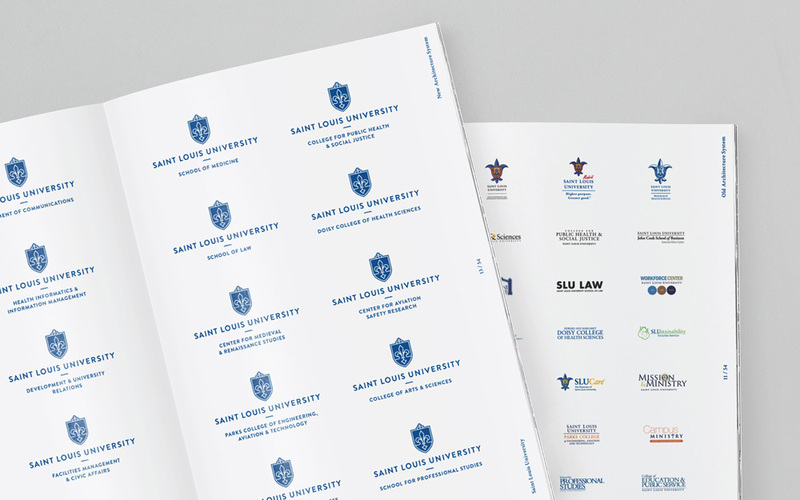 To quickly summarize: Founded in 1818, SLU is a private university in St. Louis, MO, with 13,000 students and offering all the degrees and different schools that most large universities offer. Their athletics teams, the Saint Louis Billikens, compete in Division I of the National Collegiate Athletic Association. 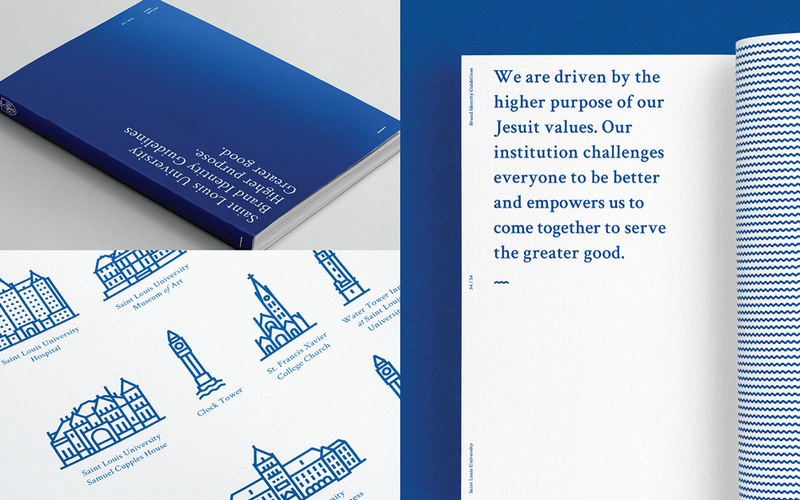 The new identity was designed by Minneapolis, MN-based Olson. We’ll skip talking about the logo as we already did yesterday. The communication materials are very straightforward but it’s all very nicely laid out and considered. 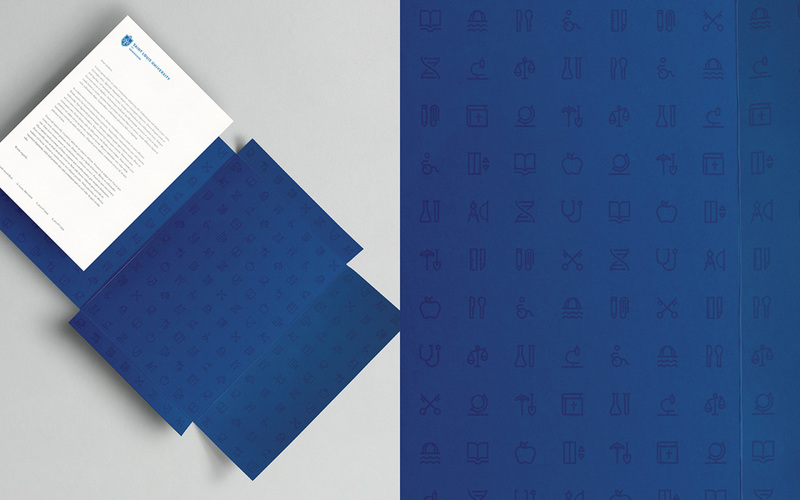 A commendable approach is that all the applications are a single-color. That’s cha-ching in the bank in savings for a university. (Okay, technically, the folder is two colors, with the dark blue icons — which are also pretty nice). 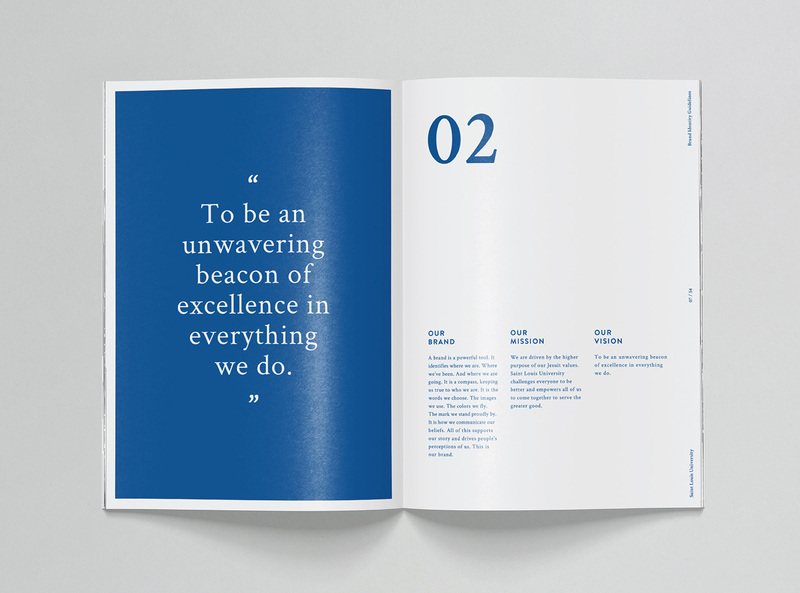 The brochure cover shown in the opening of the post and the notebook show how stately and elegant this identity can be while feeling contemporary. The guidelines document looks sweeeeet. (Yes, it’s deep-thought criticism like this that makes Brand New the standard bearer). The rendition of the seal-slash-logo on the tote is one of my favorite pieces in all the applications. Simple, crisp, contemporary. The Billikens’ stuff is not as impressive as the institutional stuff and is more in tune with the spiky college aesthetics than I, and most everyone I presume, would like to keep seeing. 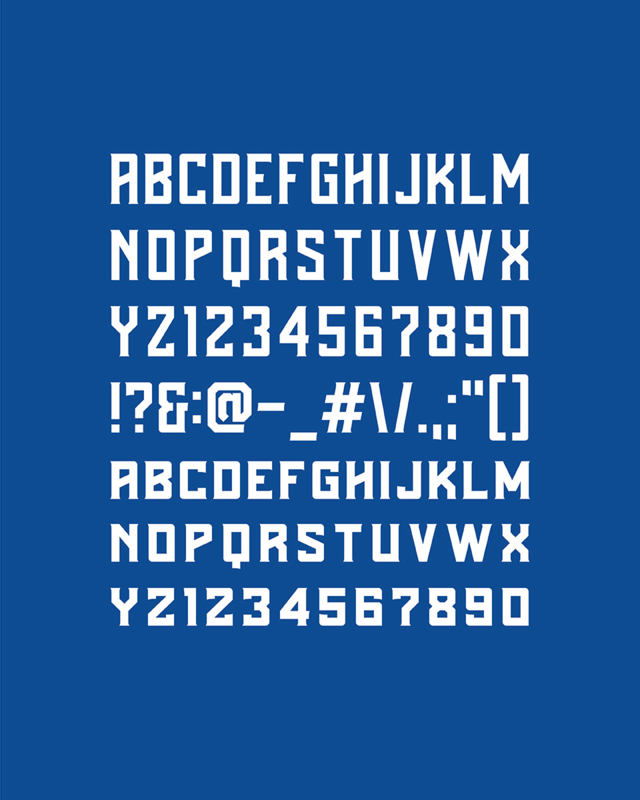 The highlight would be the Dodgers-style alternate logo with the very pretty, thin script lettering that deviates from the rest of the identity. Overall, as I said yesterday, no groundbreaking stuff here but a good, solid redesign that went from an A yesterday to an A+ today. 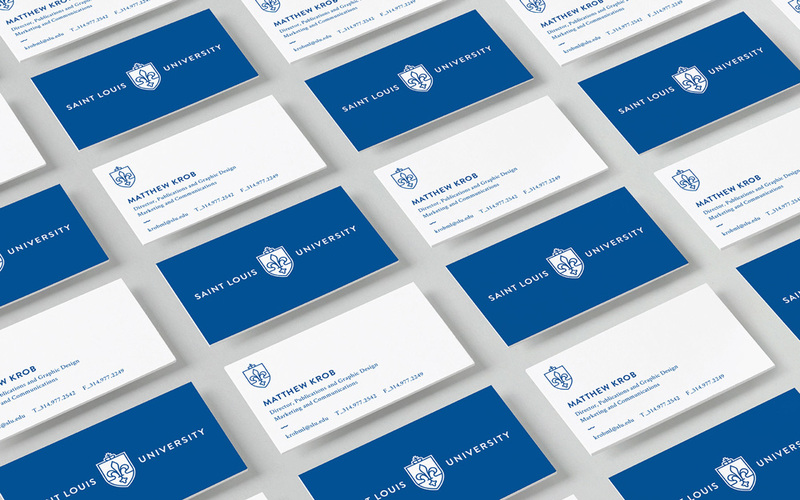 I usually don't do Follow-ups 24 hours after posting the first version but the folks at Olson reached out with some nice application images for yesterday's Noted post about Saint Louis University (SLU). Since it received positive feedback in the comments and polls I figured you would enjoy seeing these. 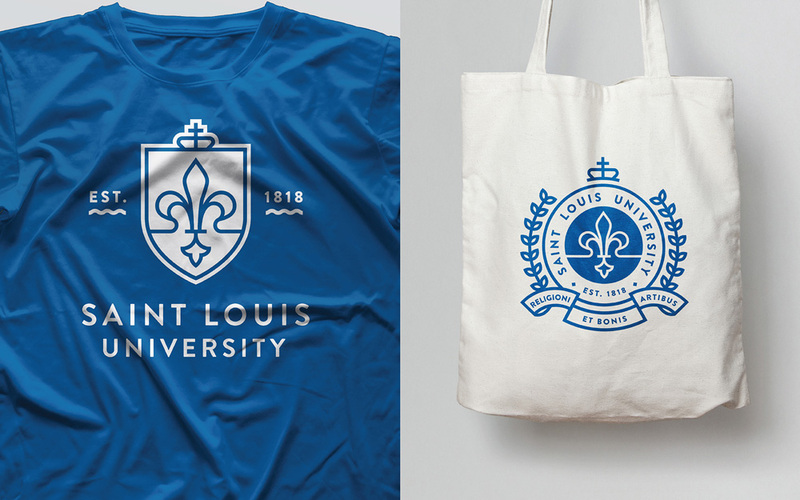 To quickly summarize: Founded in 1818, SLU is a private university in St. Louis, MO, with 13,000 students and offering all the degrees and different schools that most large universities offer. Their athletics teams, the Saint Louis Billikens, compete in Division I of the National Collegiate Athletic Association. 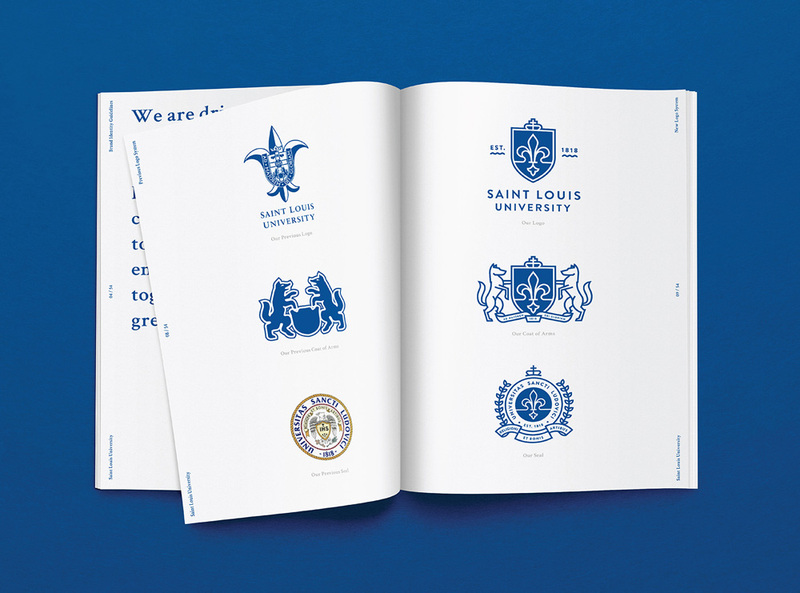 The new identity was designed by Minneapolis, MN-based Olson.